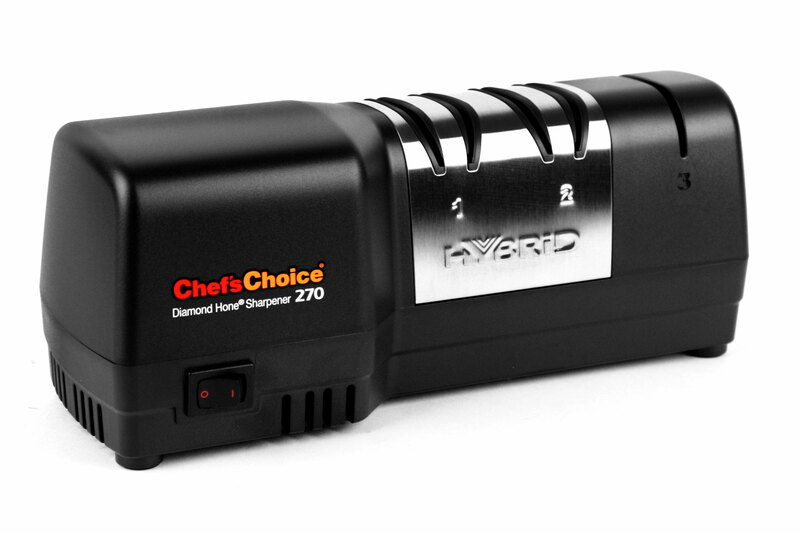 The Chef's Choice Model 270 Diamond Hone Hybrid Electric Sharpener combines the acclaimed CrissCross sharpening technology and electric and manual sharpening stages that provide superior edge geometry and razor sharp edges on both straight edge and serrated knives. 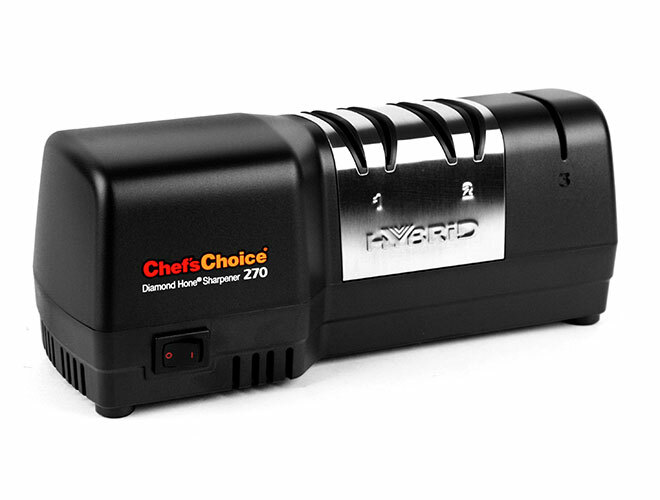 Ideal for household and kitchen knives, sports knives and pocket knives, the Chef's Choice CrissCross sharpening technology is praised by home cooks and professional chefs for its extremely sharp edge with lots of bite. The diamond abrasive wheels sharpen simultaneously into and out-of the edge for a superior burr-free edge. 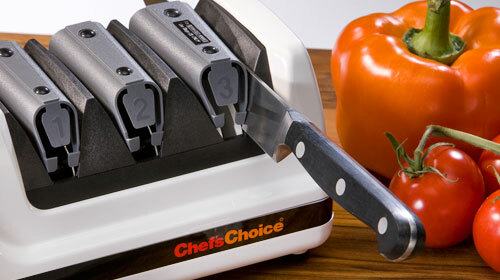 Featuring elegant and durable brushed stainless steel knife guides, Stages 1 and 2 are electric using 100% diamond abrasives for fast and easy edge shaping and sharpening. Stage 3 uses ultra-fine diamond abrasive wheels for a polished, razor-sharp, arch-shaped edge that is stronger and more durable. 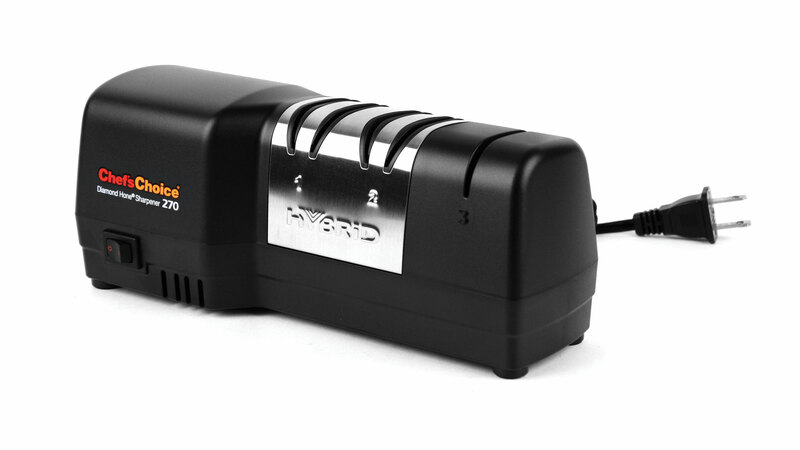 Stage 3 also sharpens serrated edges. 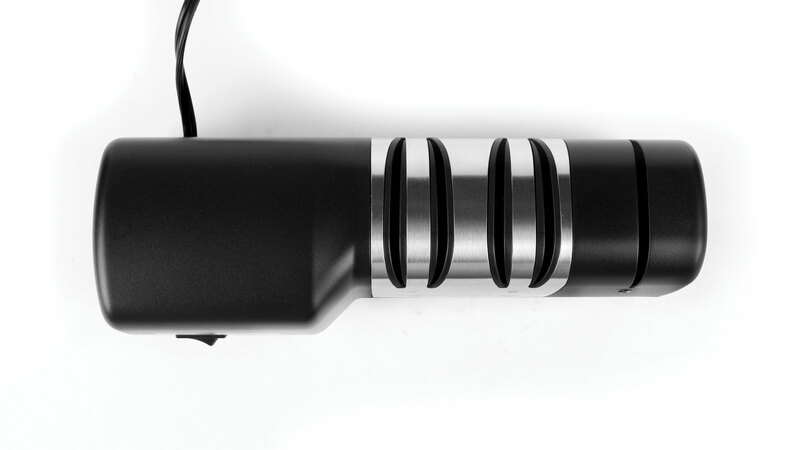 Engineered and assembled in the USA.